This story was first published in UNO Magazine online this week, on 23 August. I loved it so much I wanted to add it to the list of stories on The Residents so that other people could enjoy it, in case they don't find it on UNO. Wellington is a wonderful place to visit again and again. No matter how many times you leave and come back, there is always something new to discover. Wellington is my home town. People in Welly don’t look down on some trades or professions because it is seen as ‘less important’. We know that whether it is making ice cream, performing a facial, crafting peanut butter or making a burger, every little bit goes towards making the world more wonderful. 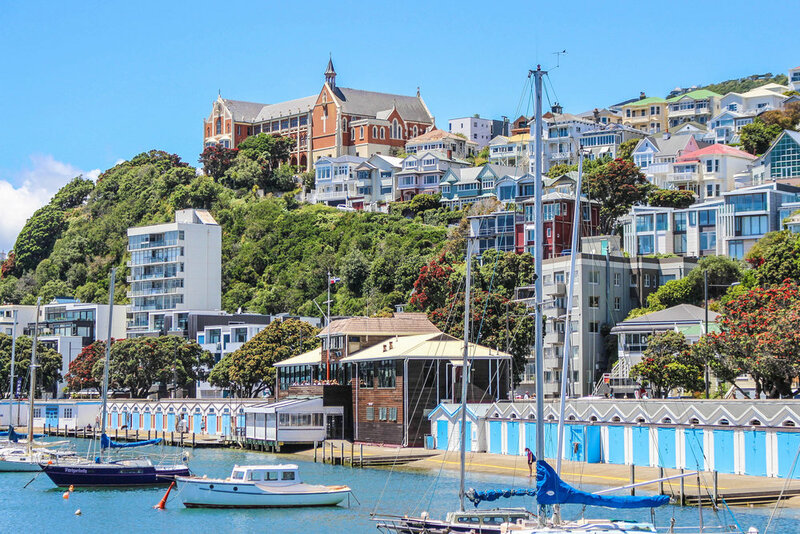 Here are my Top 5 Must Do’s for Wellington — that perfectly showcase people who are passionate about what they do. Customs by Coffee Supreme is many a Wellingtonians go-to establishment. Not only does Customs have a wide range of different blends of coffee (from all over the world no less), but they have wonderful light snacks, such as the most luscious Avocado on Toast in the Southern Hemisphere. This is Wellingtons ultimate casual coffee place to hideaway. Prepared with love, Customs is a place to while away the hours, people watching Ghuznee Street. Craft beer exploded in the Capital at the turn of this decade — and Garage Project is both the Crown Prince and Court Jester of all craft breweries in Wellington. Located in the formerly delict petrol station on Aro Street, Garage Project has the tastiest beers in New Zealand, flavoured from mild (IPA’s) to wild (Hazelnut Bruin). Personally, I am also a fan of the beautiful art work on their cans and bottles. Each one is unique and tells a story (except for the delightfully plain packaged ‘Beer’ beer). Pay a visit to their bar across the road and hear the whole story (and why not stop into World Famous Aro Street Video next door afterwards?). Make sure you don’t plan anything major the next day — some of those hops will hit you hard! The Royal New Zealand Ballet is housed in the St James Theatre, Wellington — and you’re just in time to catch the new season being presented to the company. Filled with lavish costumes, mind boggling sets and ravishing rapiers (that’s swords for us commoners), Romeo and Juliet proves that sometimes Shakespeare can be out done! This performance is worth every penny, as you float away on a tragic story of love and two houses. Parting is such sweet sorrow! One of my earliest childhood memories of Wellington is the half day coastal walk around to the fur seal colony at Red Rocks. This amazing rugged walk starts at Owhiro Bay and goes for about 40 minutes around to ‘Pari- Whero’. Make sure you take a camera, proper walking shoes (not sneakers) and a packed lunch (I recommend going too Moore Wilsons to buy some artisan food to make it an extra special picnic). On a clear day you might even see snow across on the Tararuas in the South Island. As the Beatles say “The best things in life are free!” — and nothing quite beats Wellington’s natural landscape (on a good day, of course). Make sure that your visit to Wellington is filled with a little exertion by ascending Mount Victoria at sunset or sunrise (or, if you are a bit on the lazy side like me, you can always drive). Nothing quite rivals watching the little houses dotted along the hills of Wellington fade into darkness under a purple sky, or be lit up by a rising sun. Across one way, you’ll see planes taking off at the airport, and to the other, the Brooklyn Wind Turbine, propelling our city. Wellingtonians and tourists alike gather at this point regularly, just to marvel in how lucky we are to live here. In fact, why not take that saved up Garage Project beer up for a quiet one, while you reflect on your perfect time in Wellington. See you soon!